Have you ever had a meal or bought something from the store and thought to yourself, “I should learn how to make that”. 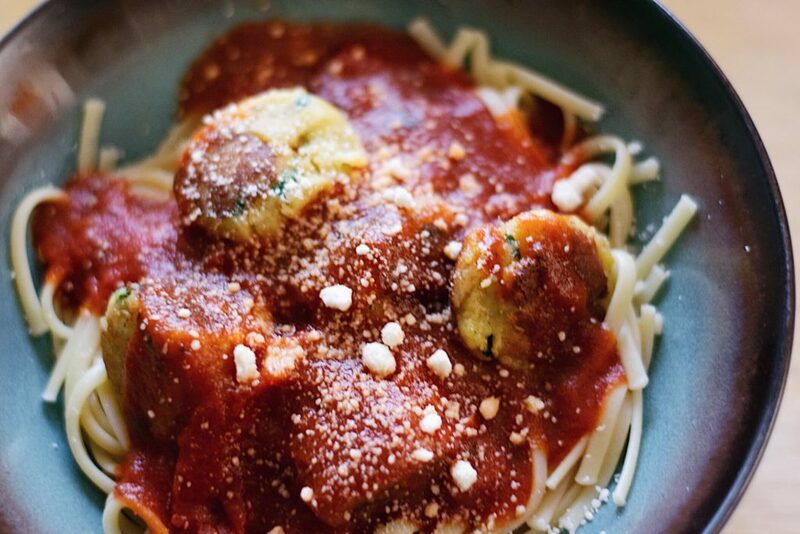 A few months ago, I was shopping and found a new frozen meal that became a fave – Spinach and ricotta “meatballs” with linguine. It was so tasty! And since it’s meatless, I was surprised and happy to know it was just as filling, with lots of flavor. So good, I knew I needed to find an easy recipe to make this on my own. It’s been a while since I tried a new recipe, so I went to the store, bought the ingredients, and gave it a go.